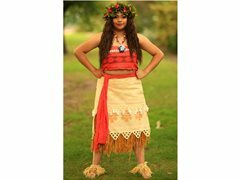 Magical Princess Entertainment are looking for Polynesian/Pacific Islander type female performers around Melbourne to play our newest character at children's birthday parties. Job includes: hosting birthday parties and running games, activities, live singing performances, dancing, meet and greets, balloon twisting and face painting. Training and full costume fully provided! This job is Ideal for students at Uni wanting a casual weekend job.